Jean Morin of Fromagerie du Presbytère is Grand Champion twice over at this year’s Royal Agricultural Winter Fair in Toronto. His Louis d’Or is Grand Champion in the cow’s milk variety cheese class. 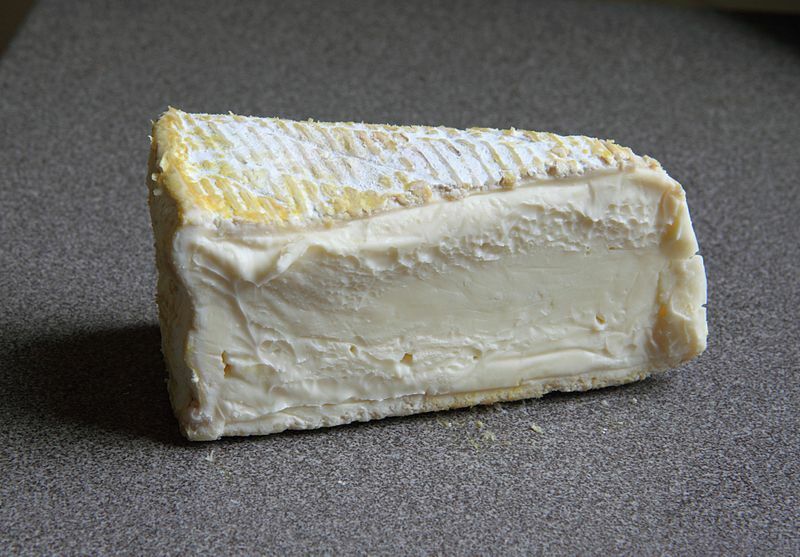 Pionnier, made with a blend of cow’s and sheep’s milk in collaboration with Marie-Chantal Houde of Fromagerie Nouvelle France, is Grand Champion in the goat and sheep milk variety cheese class. Marie-Chantal Houde and Jean Morin with Pionnier. The 18-month Farmstead Gouda made by Adam van Bergejik of Mountainoak Cheese is Reserve Grand Champion in cow milk. 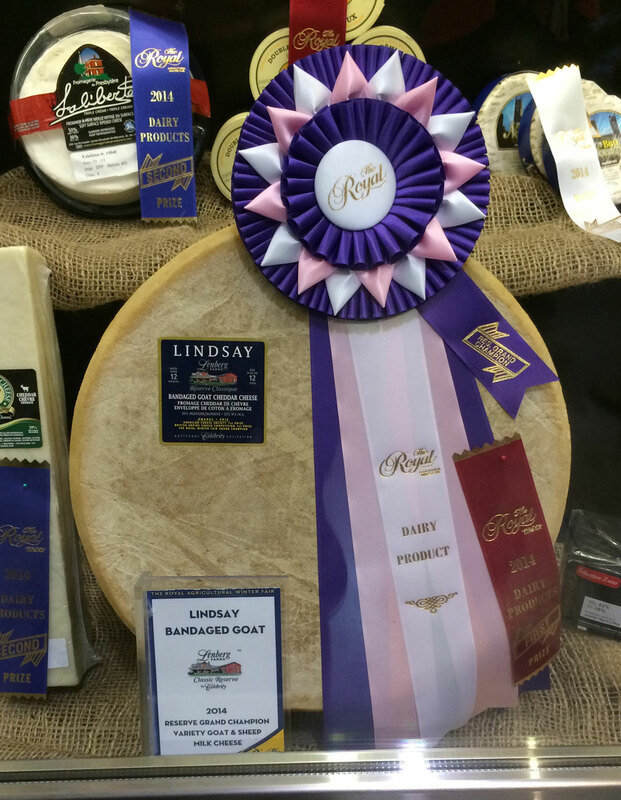 Lindsay Bandaged Goat Cheddar made by Pieter van Oudenaren of Lenberg Farms/Mariposa Dairy is Reserve Grand Champion in goat and sheep milk. 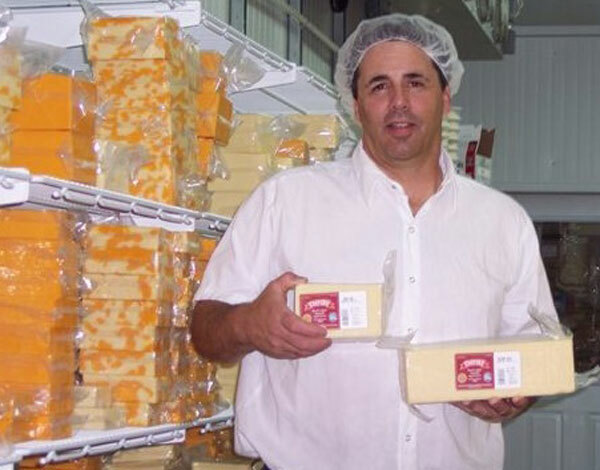 Agropur Dairy Cooperative won extra mild cheddar and Stilton-shaped cheddar categories. 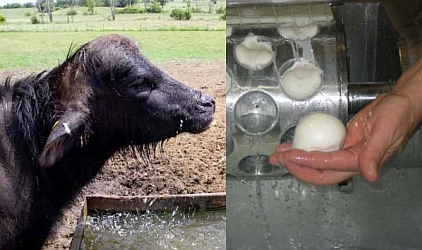 Quality Cheese of Vaughan, Ontario, which won the Canadian Cheese Grand Prix with its cow’s milk Ricotta, won the category of fresh unripened cheese made from sheep or mixed milk with its Bella Casara Buffalo Ricotta. Canadian cheesemakers won 30 ribbons in the 2013 American Cheese Society Judging & Competition in Madison, Wisconsin, in early August, competing against 1,794 cheeses submitted by 257 producers in the Americas—the largest competition in the history of the ACS. Twenty-three of the 30 ribbons were won by 10 Québec cheesemakers, four being first-place ribbons, two for Agropur Fine Cheese and one each for Fromagerie Fritz Kaiser, represented by Fromages CDA, and La Moutonnière. Two Ontario producers, Mariposa Dairy, represented by Finica Food Specialties, and Quality Cheese, won first-place ribbons as well. Best of Show was won by Cellars at Jasper Hill Farm in Vermont with the Winnimere, an extraordinary take on the French mountain classic Vachering Mont d’Or. Made with raw milk from the farm’s Ayrshire cows, Winnimere is wrapped in cambium cut from the spruce trees on the farm and washed in a beer from a neighbouring brewery. It’s available only January through June. Congratulations to all Canadian winners! They are shown below in alphabetical order with a summary of their winnings which accounted for 30 ribbons. 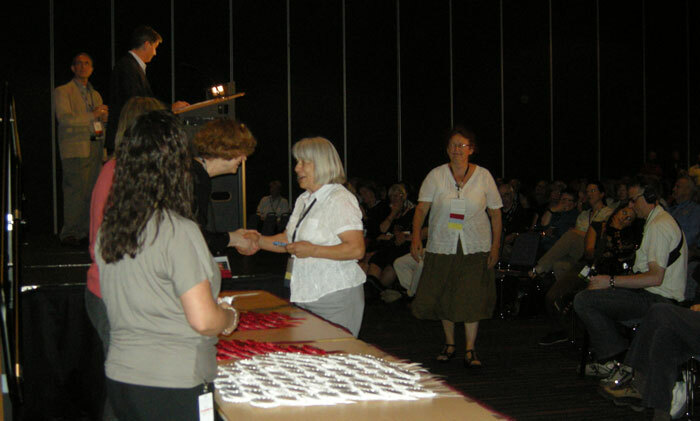 The 2014 American Cheese Society Judging & Competition will be held in Sacramento, California. Give me Riopelle or Laliberté or give me death! Riopelle de l’Isle: A world-class triple-cream—made in Canada. I enjoy eating cheese from around the world but my passion is for fromages fins, artisan cheese made in Canada. When I hear someone praising an imported cheese to high heaven, my immediate reaction is: What do Canadian cheesemakers produce that is just as tasty, if not superior? Chateau de Bourgogne, a classic triple–crème made in France, was recently selected by Kelsie Parsons, a guest blogger at Cheese & Toast, as the one cheese he wanted to savour if the world were to end. 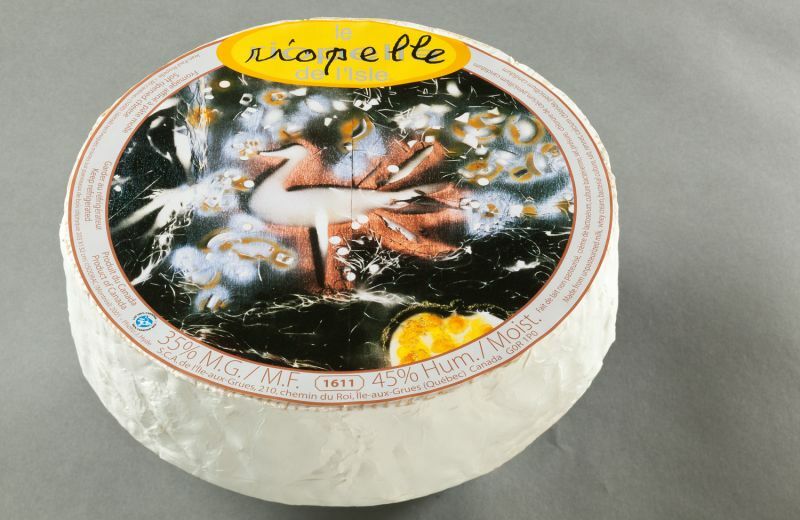 Call me chauvinistic, but I’d rather go with Riopelle de l’Isle, the first triple-cream artisanal cheese produced in Canada. It was launched in 2001 by Société Coopérative Agricole de l’Île-aux-Grues, located on an island in the St. Lawrence River northeast of Québec City, and quickly became a huge success. A wedge of Riopelle reveals a creamy and incredibly smooth centre beneath a thin, bloomy rind. Leaving an exquisite hint of butter, it is absolutely enchanting. Named for Jean-Paul Riopelle, a world-renowned Canadian artist. Jean-Paul Riopelle, the world-renowned painter who spent the last years of his life on l’Île-aux-Grues, gave his name and the image of one of his best-known paintings to the cheese. In return, part of the profits financially help students of the island who wish to attend high school or university. 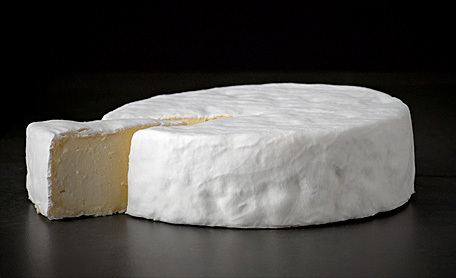 Laliberté: a triple-cream created by award-winning chessemaker Jean Morin. Laliberté, a triple-cream cheese made with whole organic cow’s milk from the family dairy farm across the road from the creamery. It’s such a rich dairy delight! Rondoux Triple Cream is made by Agropur, the giant dairy co-operative. Triple Crème DuVillage is made by Saputo, the Montréal-based dairy multinational. The factory cheeses are OK, if you can get past the modified milk ingredients used in their manufacture, but the artisanal producers who use pure milk are the ones who deserve and need the support of Canadian cheese lovers. Especially with recent rumblings from Ottawa that Canada’s producers of artisan cheeses may face greater challenges in the future. A report in the Ottawa Citizen indicates the Canadian government and European Union are close to a deal that would see a substantial increase in exports of European dairy products—mainly cheese—to Canada in exchange for greater access to European customers for Canadian beef, pork and canola. Georgs Kolesnikovs is Cheese-Head-in-Chief at CheeseLover.ca and founder of The Great Canadian Cheese Festival. Agropur's two-year Grand Cheddar was crowned Grand Champion. Agropur, the giant co-operative owned by 3,459 dairy farmers in Canada, United States and Argentina, dominated the cheddar competition at the Royal Agricultural Winter Fair this week. Agropur cheddars won or placed in six of seven categories with its two-year Grand Cheddar being crowned Grand Champion while the Reserve title went to its one-year Grand Cheddar. Both cheddars are made at the Longueuil plant in the village of Bon Conseil near Drummondville, Quebec. Aged cheddar is made with unpasteurized milk. The milk is lightly heated in a process called thermization, which preserves the microorganisms and enzymes in raw milk that give cheddar its characteristic flavor. To prevent pathogenic organisms from proliferating, this type of cheddar undergoes a minimum 60-day aging period from the start of production. The resulting cheese retains all its flavour characteristics and gives the cheddar its distinct flavour. Here are the top three cheeses in each category of the cheddar competition. Unfortunately, the results provided by the Royal do not name the actual cheddar, only the location of the plant, which is not particularly useful for consumers. 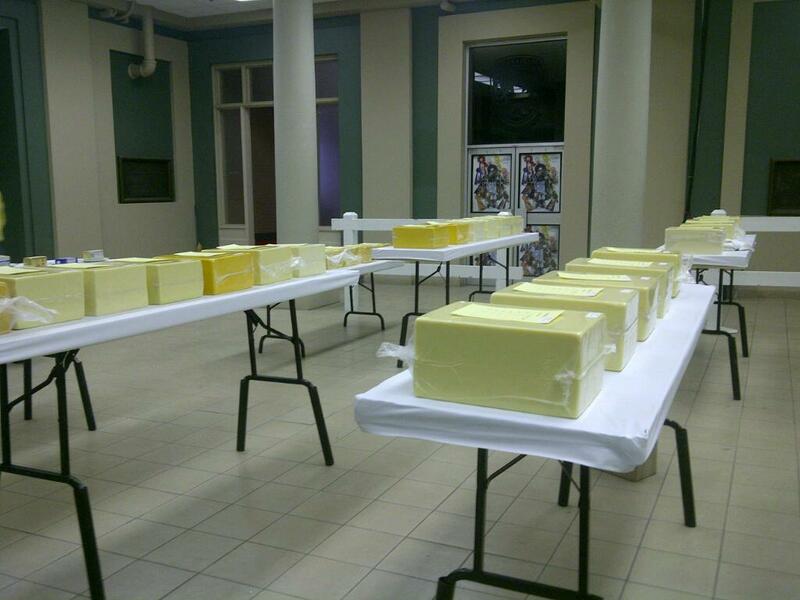 Blocks of cheddar await scrutiny by judges at the Royal Agricultural Winter Fair. Judges in the variety class: Norm Matte and Gilles Sabourin. On the eve of departure for Italy and Cheese 2011 at Bra—the most important cheese festival in Europe—I’m meditating on an extraordinary washed-rind cheese made by Trappist monks in Manitoba. As you can see, there’s only a small wedge left of the cheese made according to the recipe once used by Trappist at Oka Abbey to make Oka—quite possibly the most famous Canadian cheese of all. The cheese from Our Lady of the Prairies Abbey is saltier, earthier, with a depth of flavours not found in the Oka manufactured today by Agropur, the largest dairy co-operative in Canada, which acquired the name from the Trappist monks in 1996, 10 years before they sold the monastery. But the Trappists never sold the actual recipe—or a notebook full of notes, observations and how-to instructions dating back to 1893, the year Oka was first made in the monastery on the Quebec side of the Ottawa River between Ottawa and Montréal. That notebook now is in the possession of Brother Albéric, the 72-year-old monk who is the master cheesemaker at the monastery in Holland, Manitoba. I remember full well my first taste of Oka at Oka almost 50 years ago. Somehow, I, a Lutheran, ended up in the guest house of the most Roman Catholic of monastic orders the week after dropping out of university. On my first morning at Oka, I found myself is a small dining room with a few other guests at a large table. In the center was what looked like a large platter of big chunks of pineapple. “Ah, cheese, I can go for that, ” I said to myself as I reached for a considerable chunk and popped it into my waiting mouth. Epiphany is the only way to describe what I tasted. In a word, it was divine. And so it came to pass that my lifelong passion for artisan cheese was ignited . . . which has lead me to this evening, looking forward to Bra—and looking a long ways back to that morning in Oka. Georgs Kolesnikovs, cheese-head-in chief at CheeseLover.ca, serves of director of The Great Canadian Cheese Festival. Of course, there isn’t a snowball’s chance in purgatory of getting Brother Albéric to the 2012 Festival, but hope and faith spring eternal. Lori Legacey, cheesemaker at Mariposa Dairy, has a sniff of a 19-kilo wheel of Lindsay Bandaged Goat Cheddar which was named first runner-up in Best of Show at the American Cheese Society competition. Photo by Lisa Gervais/The Lindsay Post. Canadian cheesemakers did remarkably well at the 2011 American Cheese Society Conference and Competition in Montreal this week, winning close to one-quarter of ribbons up for grabs. Best of all, Mariposa Dairy with Lindsay Bandaged Goat Cheddar and Fromagerie du Presbytère with Louis d’Or won Best of Show honors. 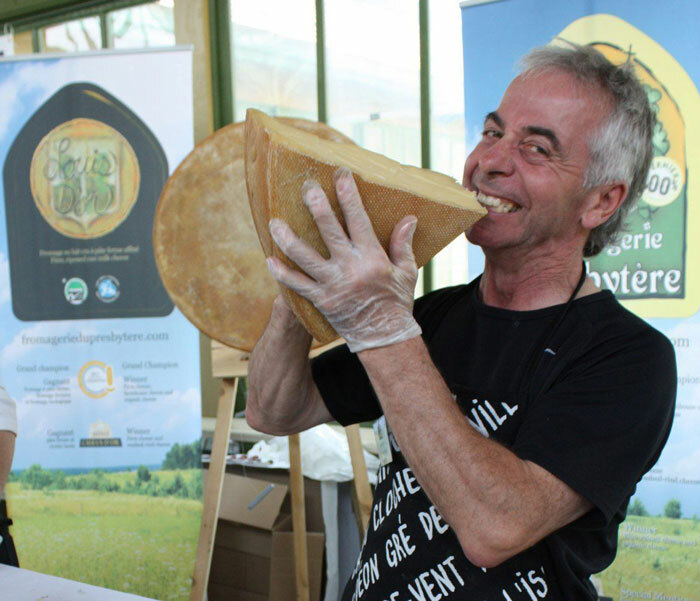 Louis d'Or, created by Jean Morin at Fromagerie Du Presbytère (photo), was named second runner-up in Best of Show at the annual ACS competition held in Canada for the first time. White surface mold ripened cheeses – Brie, Camembert, Coulommiers, etc. BF: Flavor Added – spices, herbs, seasoning, fruits, etc. Cheeses modeled after or based on recipes for established European or other international types or styles – Beaufort, Abondance, Gruyère, Juustoleipa, Caerphilly, English Territorials, Leyden, Butterkäse, Monastery styles, etc. Entries include cheeses marinated in oil, vinegar, wine, etc. Limited to Yogurt, Crème Fraiche, Kefir, Labne, etc. Whey Butter, Salted Butter, Sweet Butter, Cultured Butter, etc. Caciotta, Romano, Manchego, Table Cheeses, etc. Taupinière, Rinded Log and Pyramid Types, etc. 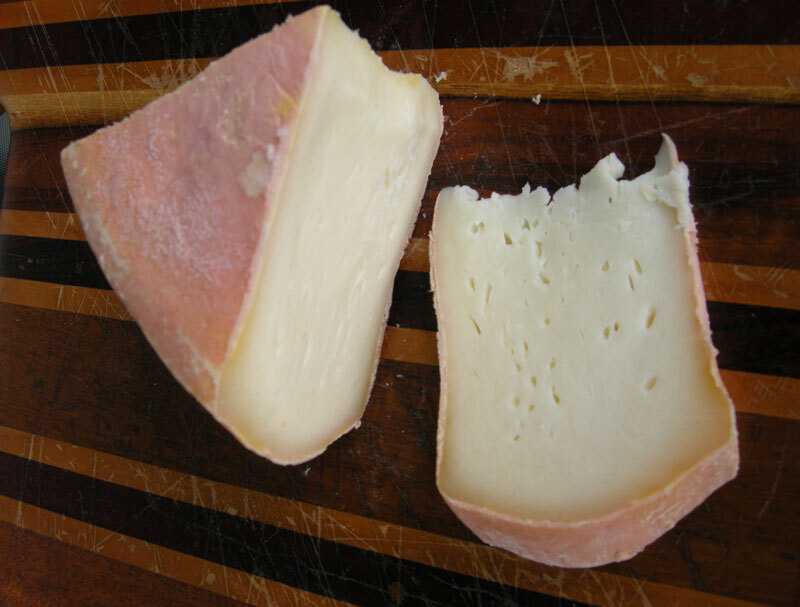 Cheeses with a rind or crust washed in salted brine, whey, beer, wine, other alcohol, or grape lees that exhibit an obvious, smeared or sticky rind and/or crust – Limburger, Pont l’Evêque, Chimay, Raclette, Swiss Appenzeller or Vignerons-style, etc. Elisabeth Bzikot of Best Baa Dairy receives a first-place ribbon for her Sheepmilk Yogurt while Lucille Giroux of La Moutonniere waits for a second-place ribbon for Royogourt. Congratulations to all Canadian winners! They are shown below in alphabetical order with a summary of their winnings which accounted for 22.5 percent of ribbons awarded. For additional photos from ACS 2011 in Montreal, click here.